Celebrating the first ever 3rd June World Bicycle Day in Malta! 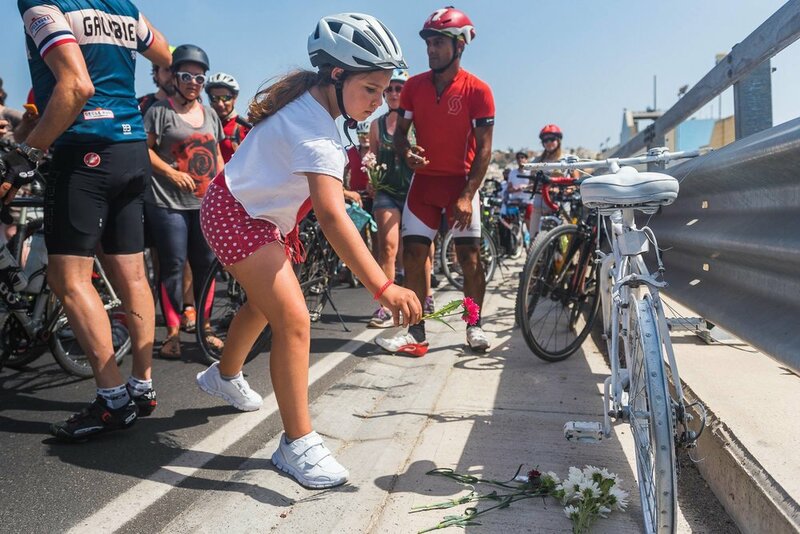 We also paid our respect by laying flowers where last Friday, Zoran Pavlovic was killed by a car while cycling to work at Kappara. Her Excellency Marie-Louise Coleiro Preca joined us in Msida to offer her support for safer roads.